Lopping off the ends of the power connectors on your brand new gear may not sound like a good idea, but it probably is. Anderson Powerpole connectors have become the defacto standard for power connections in amateur radio. They are easy to connect, and come in a variety of amp ratings and colors. It is the power standard for ARES/RACES teams, and a quick, safe, way for hams to come together, and share power at an event or emergency. 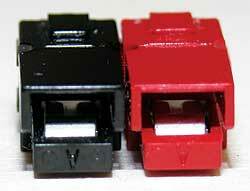 The connectors themselves are fairly inexpensive. But you will want to make a one-time investment in a proper Powerpole crimp tool. They are about $40-$50. Powerwerx has a great selection of Powerpole connectors and accessories. They also have an excellent tutorial page on how to make proper Powerpole connections. Check it out! Field Day – It’s Not A Contest. No, Really. ARRL Field Day 2016 (June 25-26) is quickly approaching. Our local Field Day event will be a joint effort by operators from MHARS, GVARC, and SBCARA at Christmas Hill Park in Gilroy. We have significantly stepped up our organization, and our game. We will potentially have 2 crank up towers for yagis, and beams, and dipoles. Oh, my! We plan to run 4A (4 operating stations), and a GOTA (or Get On The Air) where folks new to ham radio can learn about ham radio and make their first contact. We also plan to use laptop logging using the tried and true N3JLP Field Day Software. Field Day is pretty much as the name implies – In a time of need, could you get your gear, and set up in a field? 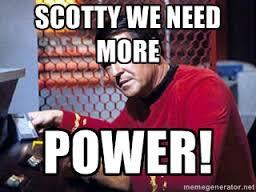 Do you have power, solar, batteries, generators? Do you have a means to get an antenna up? How about coax, and adapters? Are your power connectors compatible with who you will be sharing power with? On the lighter side of things, it is a great day for some hobby time, camaraderie, and learning. Points are earned for each contact the team makes, and bonus points are awarded for things like: visiting ARRL officials, local dignitaries, ARES officials, as well as a host of other bonus points and modifiers. Keeping score is fun, but it is not our primary goal. We participate for the fun and friendship. Set up begins at 8 AM on Saturday June 25th. On air operations will be from 11 AM – 9 PM. (We are not running the full 24 hours.) Stop by and say hi, and bring your friends that are interested in learning about amateur radio. We will put them on the air! After a bit of a hiatus due to technical issues, this great asset to amateur radio for the Bay Area and beyond is back on the air. 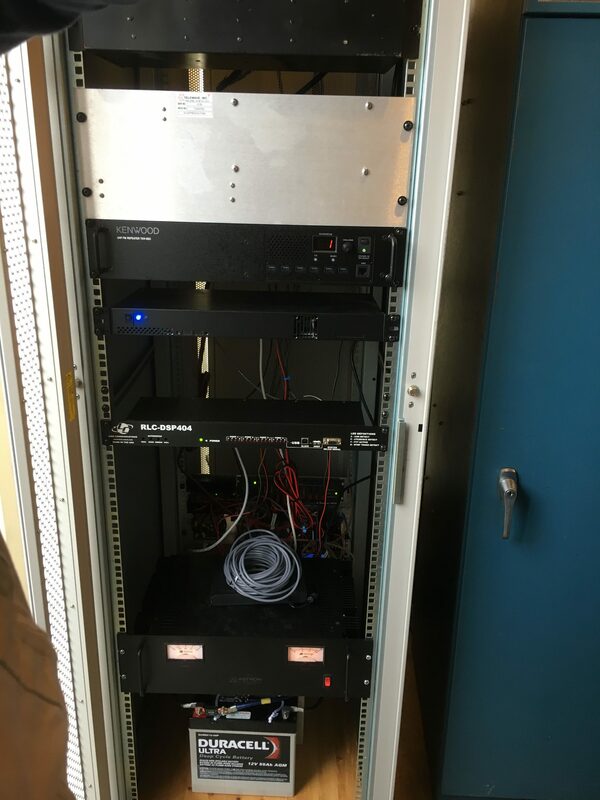 A group of volunteers made the trek to Crystal Peak this past weekend and removed the old repeater system and replaced everything, from the cabinet to the batteries. In the coming weeks the internet uplinks will be completed and the repeater will also have echolink and IRLP capabilities to further enhance its capabilities. Many thanks to those that helped plan and execute this important update. You can read more details on the GVARC web site. My geography teacher in High School was a complete bore, but I listened anyway! Most of the kids didn’t. I still got my “A”, but not because of the excellent teaching. I’ve always been a bit of a geography nut, but then my wife would probably add that I’m generally nuts about lots of things–or just plain nuts. I’ve always found our world, and the people in it (and everything/everyone outside our world, too), to be very interesting and worth study. But that’s just me, right? I really enjoyed this little puzzle that challenges you to place the countries colored red into their correct spots, turning them green. While you are doing this, however, you are actually learning more than your geography probably tried to teach you in a week of trying. You see, it’s really tough to project a sphere on a flat surface. Oh, you can do it, but it comes out pretty ugly. Your face, for example, would be mostly unrecognizable if we projected it on a flat surface (such as if you fell face first off the Empire State building onto a sidewalk, but then I digress…). The main take-away is that most of us look at the world on a flat surface, and land masses are badly distorted in size as you move them away from the middle-center of the map–in this case, around Ecuador. Even if you don’t play the game (try to beat me: 1 minute, 36 seconds), grab Greenland and move it around. Big ol’ continent huh? Let’s see how big you look now, parked next to Brazil!! Oh wait, you can’t grab Greenland just yet. It’s hiding somewhere as a smaller outline. There, that’s your one hint, so I’m giving you a handicap towards beating my time. But really, try grabbing any small red outline near the equator, and drag it out towards the poles. Gets really big, eh? So what’s the Ham Radio tie-in here? Not a whole lot, except that as hams on HF, we often look at flat maps, when we ought to be thinking more of the semi-spherical world with its interesting signal propagation and what-not. Oh, and this puzzle was linked from one of the guys on our W7DXX.com remote-controlled superstantion email group. There, there’s your ham tie-in. Enjoy the game, and just try and beat me, if you dare! We all ask ourselves that question now and then when we turn on our radios. I took this snapshot of 40 meters early Sunday evening, May 8th, at 6:30 PM local time or 0130 UTC. You can see lots of activity within the US, and between primarily the US and Europe, as well as Mexico, the Caribbean, and South America. Even if you are not a big DX’er, or even a General class ham, this should be interesting to you. Looking in the upper left portion of the web page (you can click on the map to go to the real website), you’ll find your navigation buttons to click. Select HF or VHF+ bands, then select an individual band. You can also add in the sun’s greyline, to help illustrate the interesting effects the sun has on many of our bands. Looking at certain times of the day, you can also start to see how busy 40 meters can be in the early evening, and how it often dies out late at night local time. 80 and 160 meters will appear to be dead during our local daytime, but look at how busy they get when the sun goes down! When you look at 160, you’ll also have to remember that it’s pretty lightly-populated compared to 80, because of the large antenna sizes it needs (think 260 feet long for a dipole, or a 130 tall vertical monopole!). Another thing to use this map for is to look for openings in 10 and 12 meters, as well as 6 meters. We are entering the spring and summer months when, even during sunspot minimums, we get openings on 6 meters, with more activity on 10 and 12. If you are a Tech class ham, 10 and 6 meters should be very interesting to you, because you have operating privileges there. I was surprised to see hams recording QSO’s on 6 meters today, even after dark in their local areas! 6 meters is the magic band–it opens suddenly and acts like a regular HF band, giving world-wide contacts, then shuts suddenly, often to open again between two areas. One day a few years back, somebody on the N6NFI repeater (145.23 MHz in Palo Alto–a busy repeater) called out that 6 meters was open to the Midwest. I was in my Camry at the time (RIP–died in a rear-ender in 2014 on HWY 85). It was my HF through UHF mobile ham station at the time. I dialed up 6 meters on my FT-857, pushed the rocker switch on the dash to shorten my Lil’ Tarheel HP screwdriver antenna to 50.125 MHz, and listened to a bunch of signals coming in like 20 meters during a contest! I only had about 10 minutes until I got to work, but I easily contacted three stations in a row in New Mexico. All were 59+, very strong. And then, after about 30 minutes, the band was quiet again! Lots of fun, though. It’s a bit like a fisherman calling out to his friends that the fish were biting like crazy! We all dipped our hooks in, and started pulling out big, fat ones. Then the school swam away, but we felt victorious for having been there! Those of you that are new might wonder about all those squares (rectangles, actually). They are called, oddly enough, grid squares. They are 1 degree latitude by 2 degrees longitude in size, and help hams working VHF or satellites to get a rough idea of where someone they are talking to is located. You might hear this on 6 meters during an opening, or on almost any satellite QSO. If you live near me, you are in CM97. In Hollister, you are CM96. If you aren’t sure, check your callsign on QRZ.com and see that it has already been assigned to you, based on the address you gave when you first got your license. Have fun with DXMaps,com, even if you are not active on HF–yet! The first Wednesday of each month, the MHARS 9 PM net holds a “Tech Night” to discuss ham related technical questions. This month we discussed power supplies and the pros and cons of linear or analog power supplies, as well as switching power supplies and the issues that can arise when using them. See our recent post on switching power supplies. Other topics covered were batteries and rapid voltage drops of a Li-On battery, and a host of other topics. Stop by with your questions and somebody will certainly have an answer, an opinion, or know where to find the answer. Be sure to join us on June 1st for the next Tech Night! 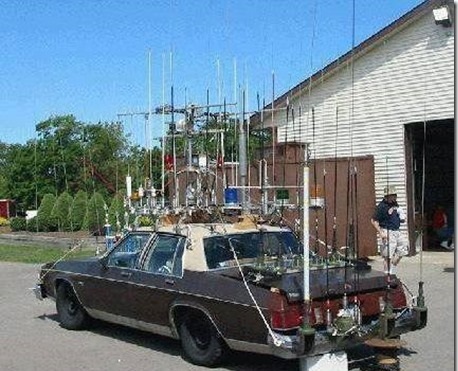 You all know “that guy” – The one with the UHF/VHF antenna (or antennas) stuck to the roof or trunk lid and wires trailing off to the side that go through a trunk, door, or window gap. The antenna maintains its death grip on the outside of the vehicle with the mysterious forces of magnetism, via a lip or edge clamp, or something that bolts to your roof rack. You wash your own car and drive a couple extra blocks to avoid parking garages. It’s all for the better you tell yourself. It is also why your significant other won’t let you touch their car.